"Ask not why you were imprisoned. Ask why you were set free." Old Boy is a 2013 American remake of the popular 2003 South Korean film. The movie stars Josh Brolin in the lead role and Samuel L Jackson. The film involves an advertising executive, who is kidnapped, and confined to solitary activity for a number of years. It's rationalized that the kidnappers do not want him dead, since they are keeping him alive for so long, but he does not know what they want from him, because he never has any interaction with any of them. He is confined to a hotel room, with the basic essentials needed to live, and is fed on a regular basis. His only outlook to the outside world is a television, so as to keep him informed on the current happenings of the world. Throughout the film, the protagonist rationalizes who may have kidnapped him and spend his entire captivity planning revenge, in the event that he ever escapes or is released. 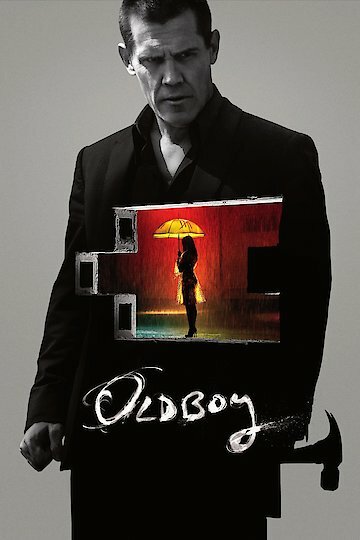 Oldboy is currently available to watch free on Vudu Free, Crackle and stream, download, buy on demand at Amazon, Vudu, Google Play, FandangoNow, iTunes, YouTube VOD online.